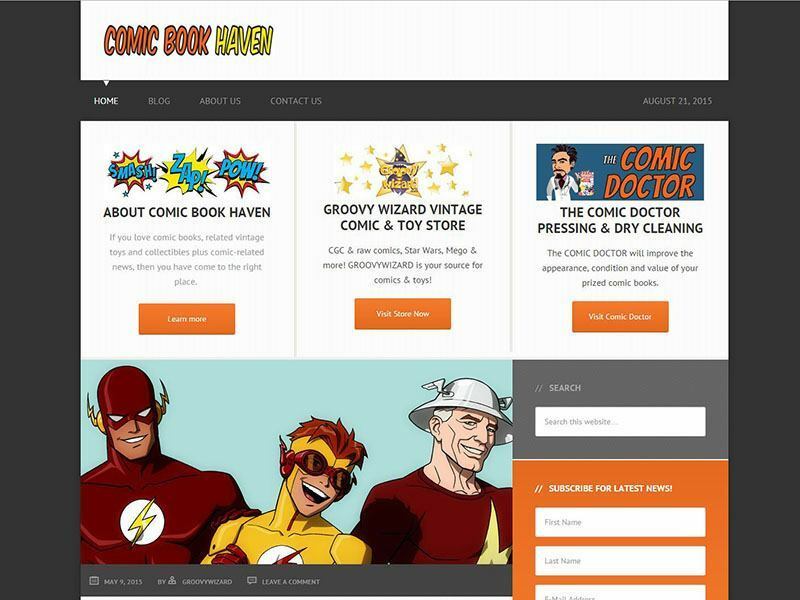 A comic book website and fan blog built on a strong HTML5 frameworks and fully mobile responsive design made to be easy to read on any device. Strong graphics content and regularly updated stores on this site drive traffic to other site that sell comics. This website is a clean design for readability and ease of navigation, yet supportive of high impact graphics which is what comic books have a lot of. This website design was completed on time and within budget.